100% Road legal with EU LABEL. Zestino Semi-Slicks are our best-sellers. Our customers know why. Performance on the level of other premium brands (if not even better), for half of their price! But that’s not all, Zestino has set the highest bar in the tyre market today for Drift ! 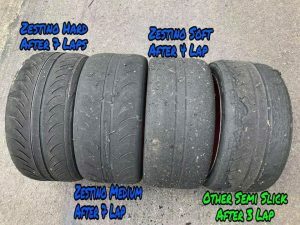 Although it may seem like a complete contradiction, modern Drift cars require special tyres with lots of grip – nobody wants to be slow even while drifting. But not enough, they have to be super stable even with very low air pressures (for maximizing the grip) and they have to be super wear resistant (nobody wants to buy a new set of tyres after just 2 minutes, right?). Zestino pushed the development towards this discipline, with ambassador pilots like Ibino in D1GP who participated in the development. 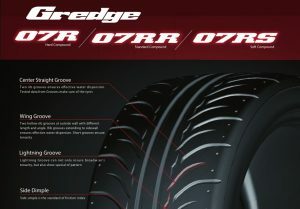 Used by the Drift elite on the planet today, the Zestino Gredge 07RS TW140 is considered in the Drift scene as the best and fastest Semi-Slick tyre and our Zestino Acrova TW280 is positioned as the world’s most enduring Semi-Slick tyre.